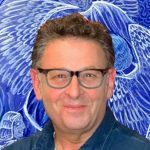 Howard G. Charing is an author and visionary artist. He co-authored the books ‘Plant Spirit Shamanism’, and ‘The Ayahuasca Visions of Pablo Amaringo’. His latest book published in 2017 is ‘The Accidental Shaman’.